Entertainment One has added Broadchurch: The Complete Second Season to its release roster, bringing the British crime series to DVD as a 2-disc set in May. David Tennant (Doctor Who) returns as Alec Hardy and Olivia Colman resumes her role as Ellie Miller, last seen having her life torn apart as husband Joe confessed to murdering local schoolboy Danny Latimer in the seaside town. And in the eight gripping episodes of Season Two, the focus is the trial for Latimer’s murder, as well as the return of a murder case that continues to haunt Detective Hardy. Additionally, this season, Hardy and Miller are joined in highly acclaimed roles by Emmy® nominated film and television actress Charlotte Rampling and Academy Award®, BAFTA and Golden Globe®-nominated Marianne Jean-Baptiste, as well as James D’Arcy, Eve Myles and Phoebe Waller-Bridge. In addition to the eight complete episodes, “Broadchurch: The Complete Second Season” also includes numerous special features, including the Featurette ”The Making of Broadchurch”, and a Behind-the-Scenes Look, as well as Deleted Scenes and Cast and Crew Interviews. 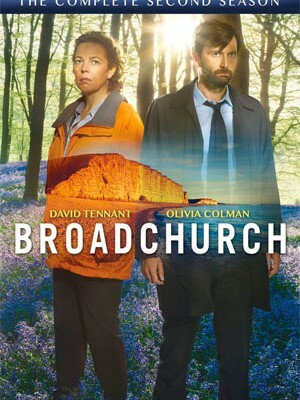 “Broadchurch: The Complete Second Season” will arrive in stores on May 12 for $39.98.